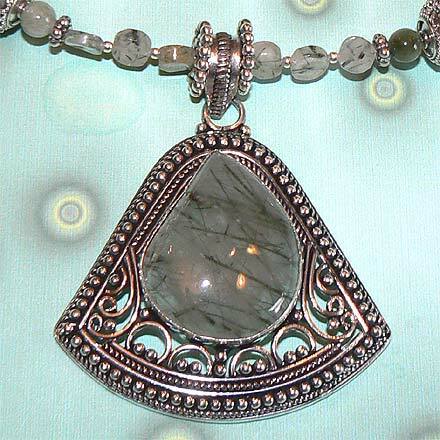 Sterling Silver Tourmalinated Quartz Necklace. See Closeup. 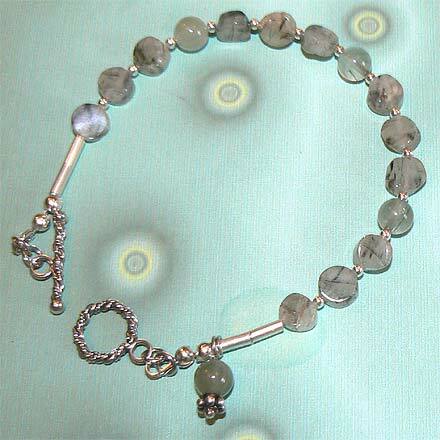 Sterling Silver Tourmalinated Quartz Bracelet. 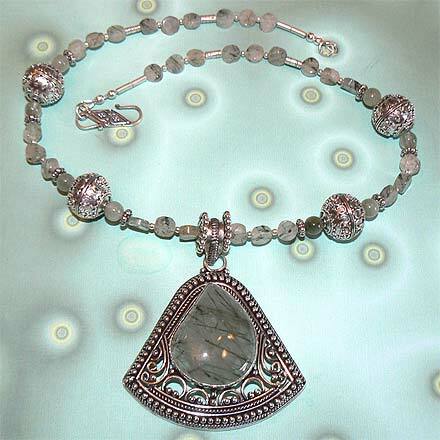 A beautiful big cabachon stone of greenish Tourmalinated Quartz set in a Balinese-motif pendant setting. For those who are interested in Astrological significances of stones, Quartz corresponds with Taurus and Gemini.